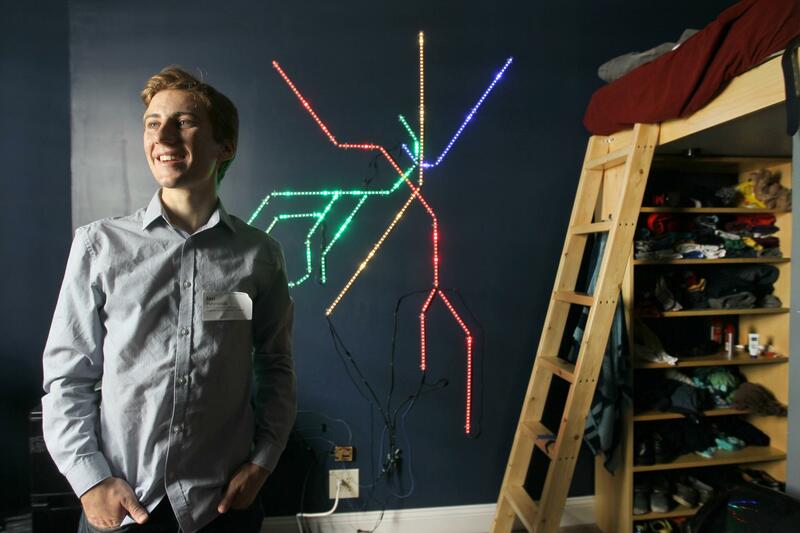 MIT student Ian Reynolds has a fascination with the Greater Boston transit system, and more specifically MBTA’s T subway. So, he brought together a bunch of LED strips, an Arduino and a Raspberry Pi to create some wall art for his bedroom that shows the positions of trains. The Raspberry Pi reads data from MBTA’s public API and then plots the locations, via the Arduino, onto the wall-mounted LED strips. He has detailed the build and programming on his blog.